Maturation: 80% sherry, 20% bourbon matured. Another fine malt for a Havana, like a storm gathering off the Kintyre coast, our 15-year-old Springbank is dark and ominous, yet delicious. Best enjoyed after dinner or with your favourite cigar, this is a true classic. 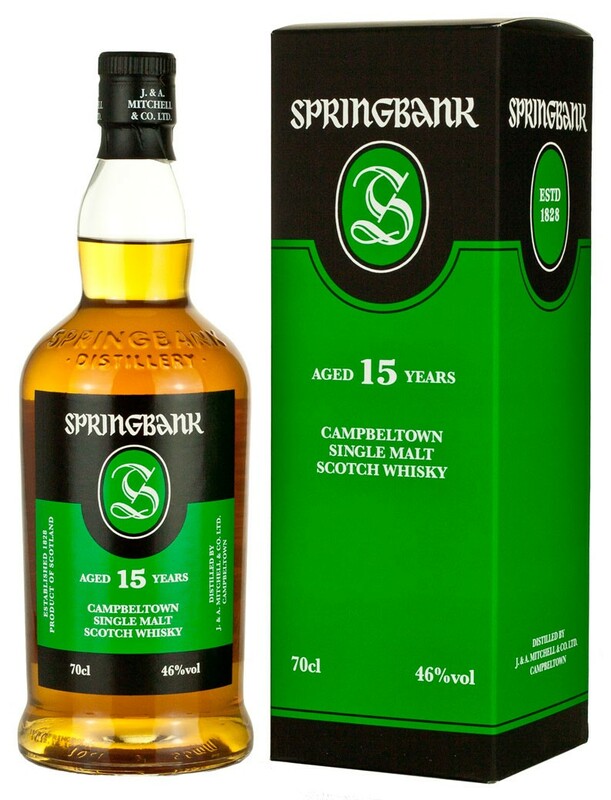 A truly classic Springbank that is perhaps best enjoyed after-dinner or with your favourite cigar. It has a delicious blend of rich sherry and mild peat smoke. If you like that sherry/mild peat blended flavour, this is an ideal whisky for you. It's top notch Scotch, very classy. A whisky that marries wonderful sweet and very rich flavours with darker flavours of peat and smoke. 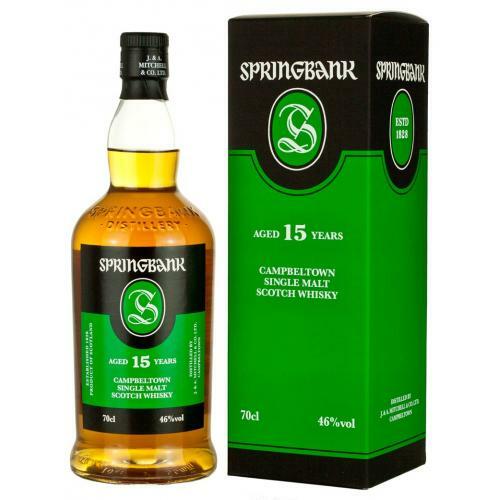 Springbank 15 is everything in the tasting notes in a buttery smooth, well-balanced package!